New Kid On The Block !! 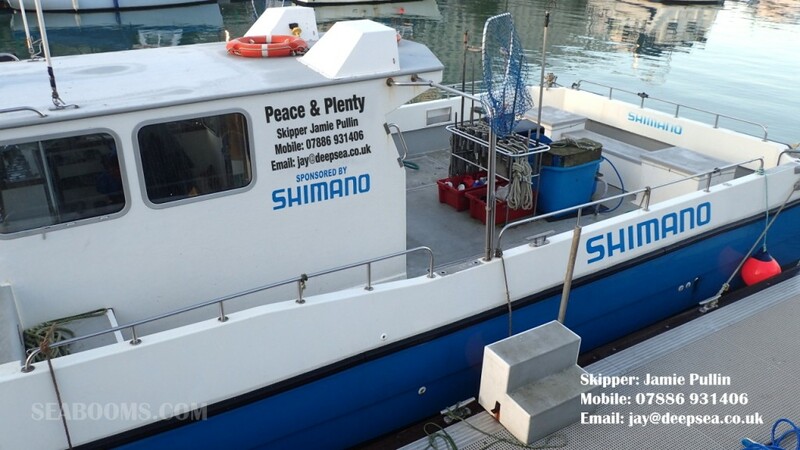 Peace and Plenty III a very well established charter boat operating out of Weymouth Dorset has a new skipper at the helm, Jamie Pullin who is known to many anglers who have boat fished out of Weymouth. 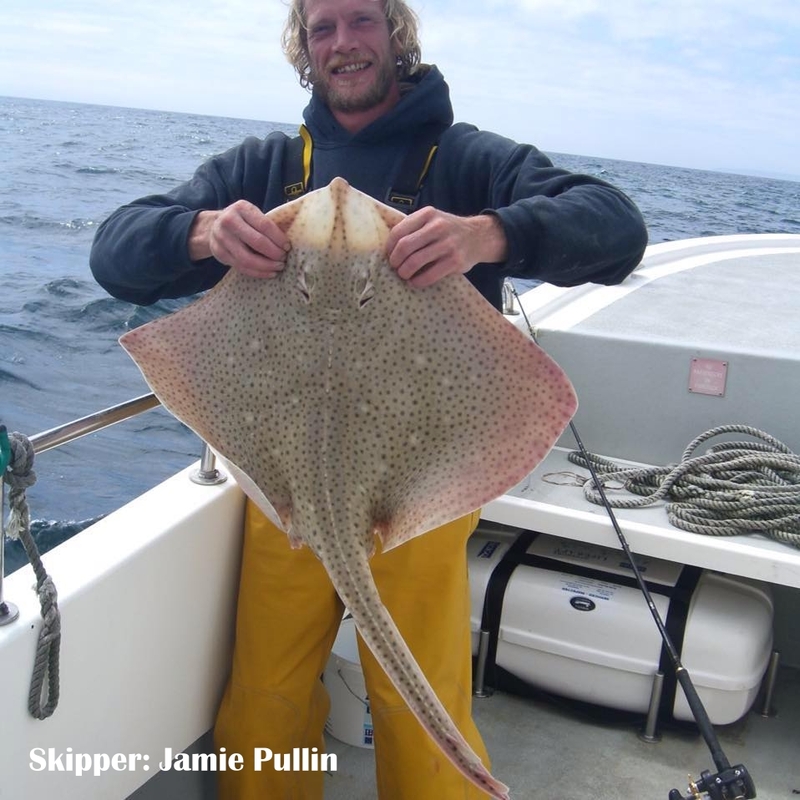 Jamie has been fishing since he was 14 years old working on many commercial operations from crab boats to Bassing and has been a crew member with some of Weymouths top skippers and now it’s time for what he has always wanted to skipper his own angling charter boat. 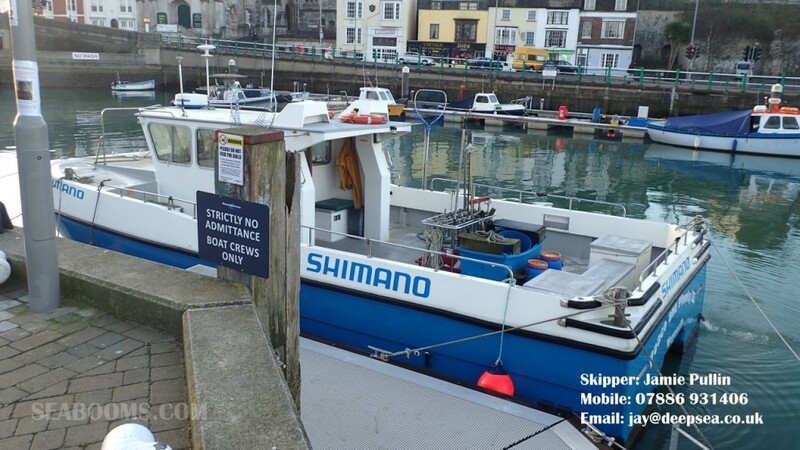 Fully qualified skipper with years of experience and local knowledge of the prime fishing grounds around Weymouth, the English channel and far further around the coast plus having the opportunity to take command of a top class Southboats Catamaran he is keen now to establish himself in the boat angling community. 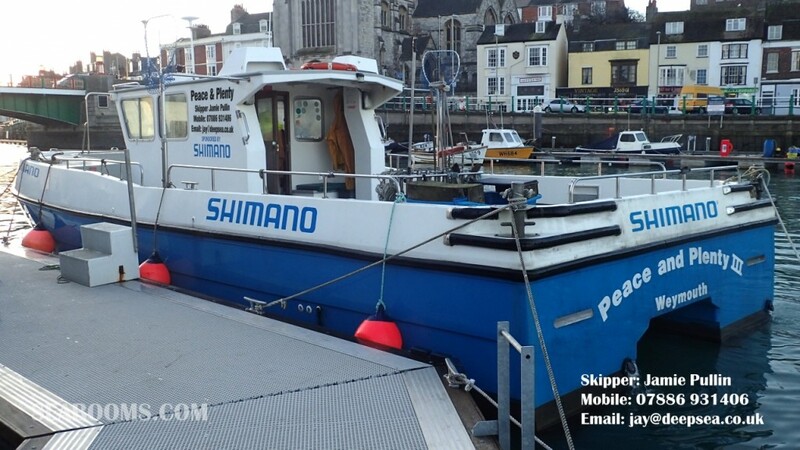 Peace & Plenty III as you can see from the images offers all the comfort todays anglers look for and above all ample fishing space so fitting a full compliment of anglers with over 75% of usable deck fishing area no body will be fishing in cramped conditions. 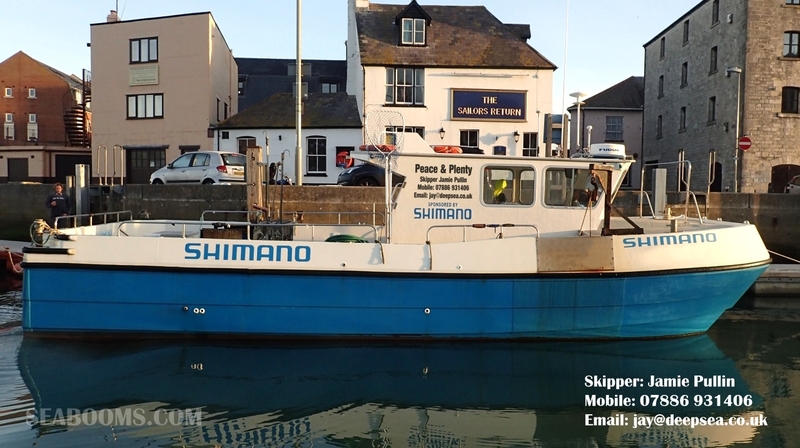 The boat is a purpose built South Boats Catamaran she is 36 feet long with a 16 feet beam and is a very stable fishing platform, fitted with twin Cummins 210 hp Turbo diesels which can reach the marks at good speed so increasing fishing time. 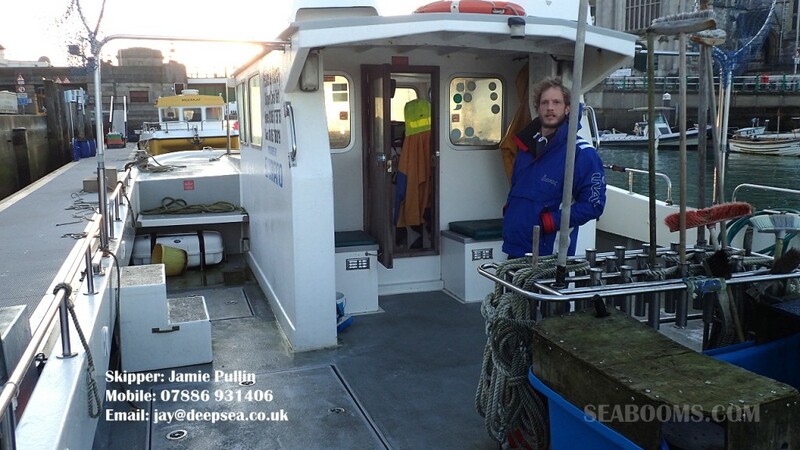 Jamie will do Wreck fishing trips for Conger, Ling, Pollack, Cod etc. etc. Bank fishing for Bass, Brill, Plaice, and Turbot. 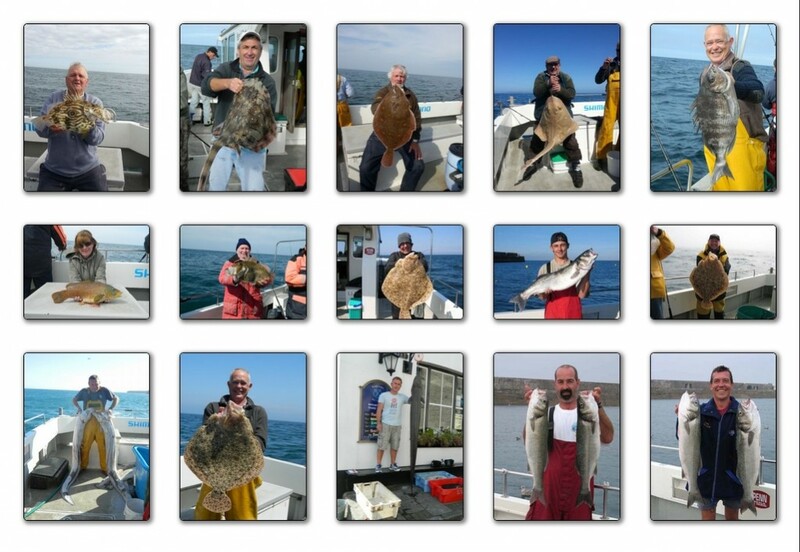 Reef fishing for a very wide variety of species which include:- Cod, Conger, Bream, Huss, Tope, Whiting, Bass, Rays etc.etc.. So you can taylor charters to suit your needs or join others on pre-arranged singles trips. 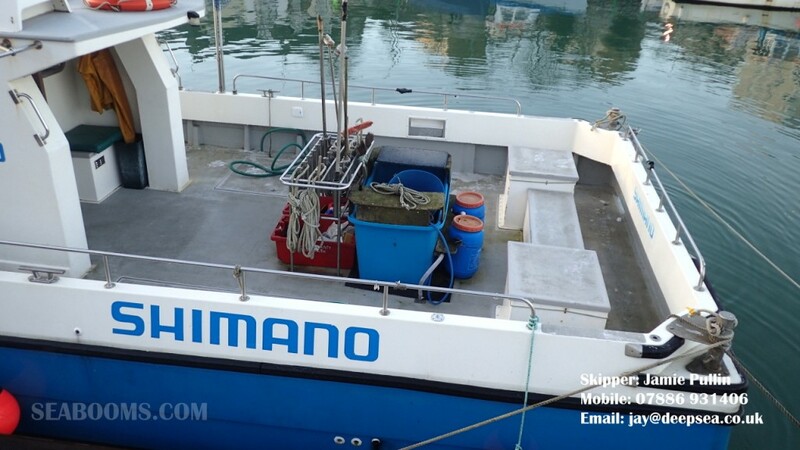 Trips to the channel islands are also catered for and if you visit his page on the deepsea site you can view his diary and all the updates and catch reports. 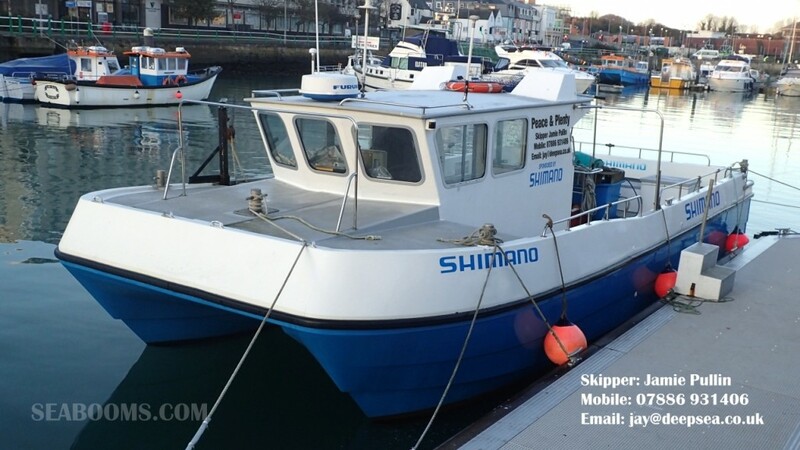 The boat has all the latest electronic fish finding and GPS systems plus safety equipment and is currently being re-fitted with microwave and new tea making equipment so hot refreshments and food facilities will be available all day. Jamie is also a keen angler and I’ve fished with him and he is willing to pass on any assistance and advice from local knowledge to ensure you take full advantage of the great fishing on offer in the Weymouth and Portland area. Having been an active crew member he is also skilled in filleting and preparing his anglers catch so they go home will all fish caught ready to eat or freeze down. 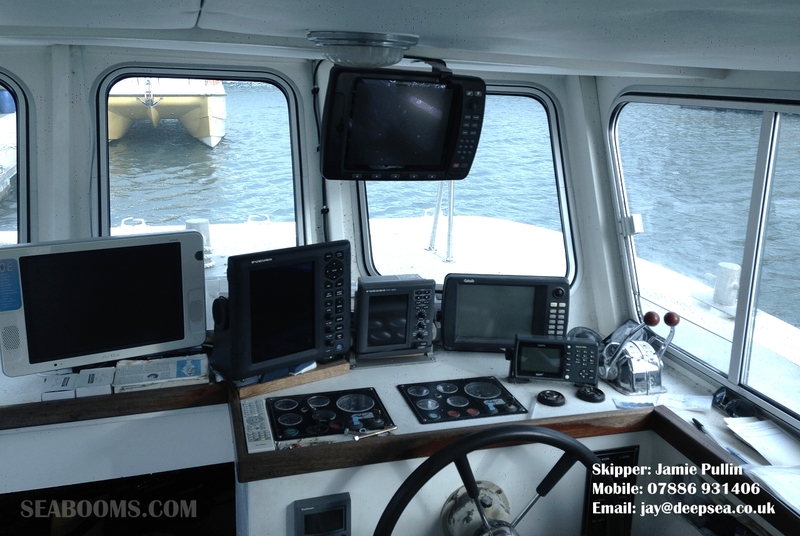 A pretty full serivce from a new skipper that is very keen to establish himself, you can contact Jamie via his mobile or email and his Facebook wall details are on all the images so make contact to discuss your requirements.